Advance CTE, with support from the Siemens Foundation, is working to support states across the country to attract and recruit students into high-quality Career Technical Education (CTE) programs of study. Last year, Advance CTE worked with four states - Maryland, New Jersey, Indiana and Washington - to pilot innovative online and on-site recruitment and communications strategies. As a result of this work, we are excited to share guides and materials that can be used by all states in their communications efforts. CTE Social Media Guide: Based on a guide developed by the Maryland State Department of Education, Advance CTE has developed a social media guide explaining how to effectively use social media, integrate the messages into your posts, and highlights effective campaigns. Focus Group Discussion Guide (Word, PDF): Learn firsthand what parents and students think about Career Technical Education by conducting focus group discussions. This simple, easy-to-follow resource provides you with questions for the moderator, icebreaker activities, and a pre-event homework assignment for attendees. 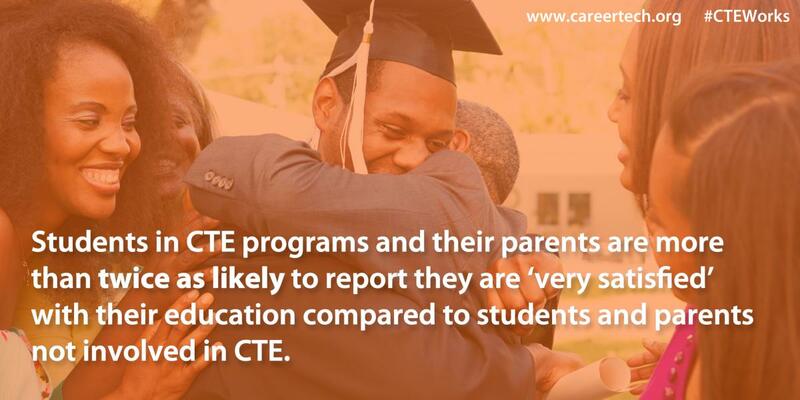 By assessing your community you can determine the best ways to communicate about CTE. CTE Posters and Postcards: These materials, created by the New Jersey Department of Education, explain the benefits for students participating in CTE programs while integrating the messages we know resonate with parents and students. Using Video to Promote CTE in Your State: The Washington Workforce Training & Education Coordinating Board developed a series of videos highlighting CTE across the state and a video toolkit to help local schools, instructors, and students develop their own videos promoting CTE in their communities. The guide provides technical tips for setting up shots, capturing sound, and conducting interviews. The toolkit also links to the sample videos so students can learn, step by step. 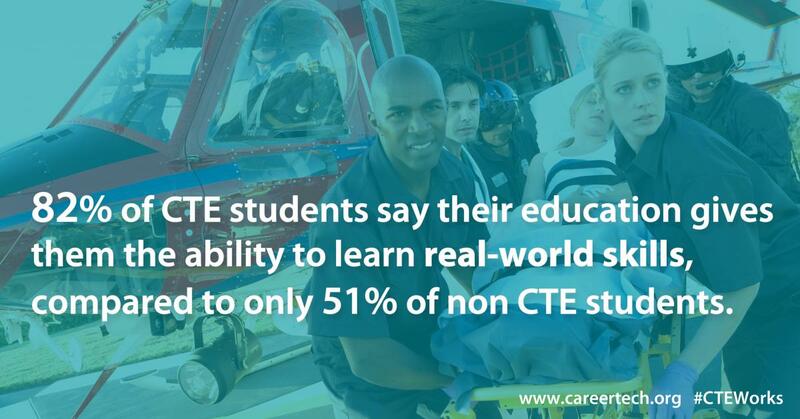 It is important that state and local leaders begin to use this research to better promote CTE programs, and offer recruitment activities that encourage students and parents to consider CTE as an option for education. The tools below can help you begin this work. Core Messages for Attracting Students to Career Technical Education: A description of the message triangle - or core motivators - that should be at the center of any communications effort. Value and Promise of Career Technical Education messaging card with fast facts. Dos and Don'ts for Engaging Students and Parents around CTE: A simple, easy-to-follow resource on how to put the research into action. The Value and Promise of Career Technical Education PowerPoint and Talking Points (Word, PDF): A set of slides, with talking points, that can be used to explain the research and train others around it. Increasing Student Enrollment in CTE Programs: Parent Engagement Tool: A tool to help state and local leaders develop an effective strategy to engage parents and guardians. The Value and Promise of Career Technical Education Fact Sheet: A brief overview of top-line findings to be used as an advocacy tool. CTE Advocacy 101: An overview of how to advocate for CTE issues. Putting Real-World Skills to Work: An Employer Guide for Making the Case for CTE: An overview of how the business community and employers can advocate for CTE. Advance CTE is now working with our third cohort of states, Arkansas, Georgia, Iowa, South Carolina and Utah, selected through a competitive process to incorporate nationally tested messages about CTE in a variety of in-person events and virtual campaigns. Each state receives up to $20,000 and eight months of technical assistance from Advance CTE. Advance CTE and the Siemens Foundation are working on a project, Strategies for Attracting Students to High-Quality CTE, which supports states and local communities across the country in their efforts to attract and recruit students into high-quality Career Technical Education (CTE) programs of study. This two-pronged approach will develop effective messaging to be used at the state and local level, as well as provide support to select states as they identify, pilot and evaluate strategies for recruiting students into high-quality CTE. This project will leverage Advance CTE’s membership - state CTE directors and leaders from all 50 states - as well as CTE: Learning that works for America, a national campaign adopted by 49 states and over 700 communities, to ensure any resources and lessons learned are disseminated and implemented widely. The goal – provide effective recruitment strategies to increase participation in CTE.